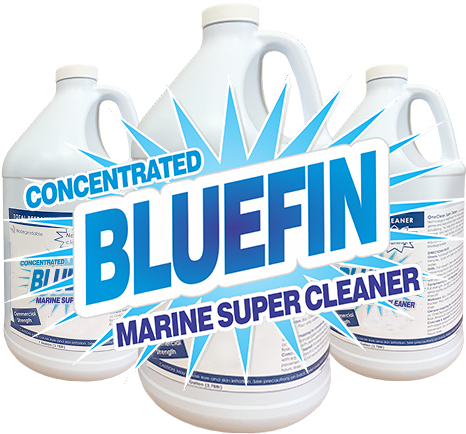 The 100% GREEN BlueFin Marine Super Cleaner and Degreaser outperforms other generic cleaning products - even those that use harsh chemicals. 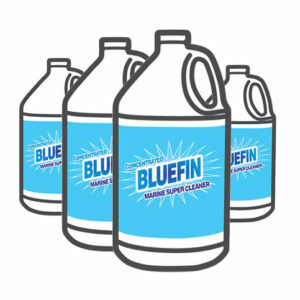 How to clean boats & marine equipment with BlueFin? Easy...Just spray on soiled surfaces and simply wipe/scrub away! It is specially formulated to dissolve stubborn dirt and grime from boats and marine equipment quickly, without the use of harmful chemicals. Highly concentrated, industrial strength cleaner which will begin acting the moment it touches a surface. Just spray on soiled surfaces and wipe/scrub away! 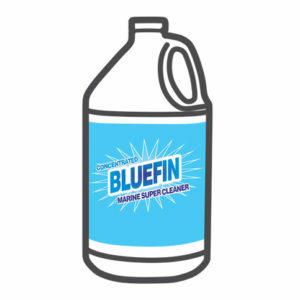 Due to its multi-purpose and multi-surface capabilities, this marine cleaner eliminates the need to carry a whole host of chemicals on your boat.